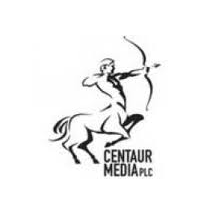 Centaur is a leading UK based business information, publishing and events group. It provide marketing and information solutions to buyers and sellers within several high value professional and commercial market communities. Its principal focus is on digital solutions, supported by a strong portfolio of events and, in certain sectors, market-leading print brands. Its major brands include Marketing Week, Creative Review, New Media Age, The Lawyer, Money Marketing, Perfect Information, Homebuilding & Renovating, Employee Benefits, The Engineer and many more.